Every year Le Vian sets the tone for the hottest styles and must-have jewelry trends, including those worn on the red carpet by your favorite celebrities, from Rihanna to Lady Gaga. Fresh off of the annual JCK event, the leading jewelry event in North America, OK! 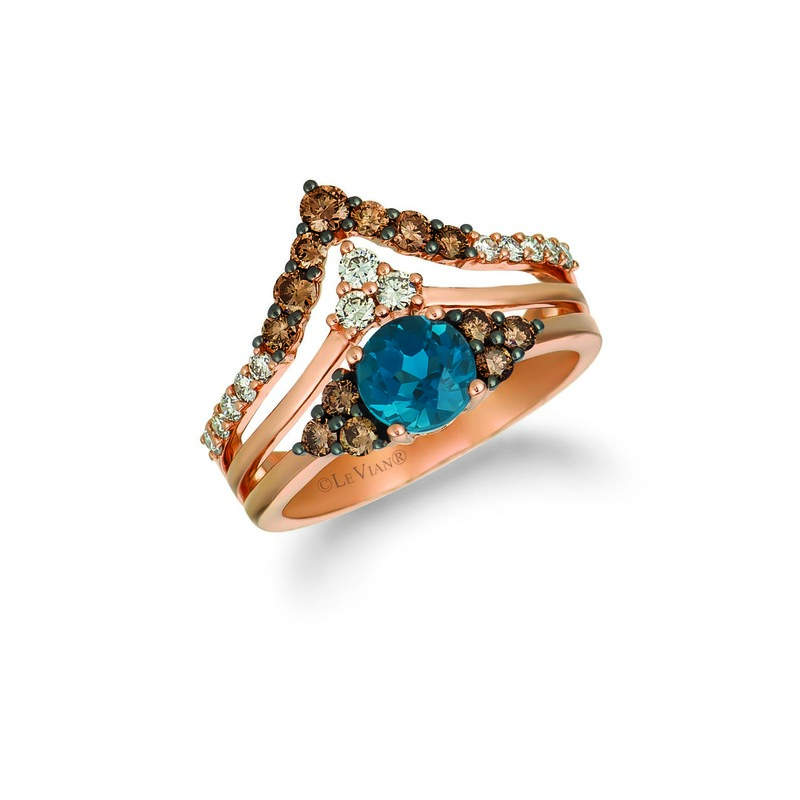 has the scoop on Le Vian’s lineup of paparazzi-worthy, must-have styles that you’ll want to get your hands on starting this fall. From anniversaries to your first-born, these timeless, must-have Le Vian Milestone pieces will help you celebrate life’s greatest journeys. Le Vian’s Diamond of the year, these natural color diamonds are the perfect complement to any fashion and beauty trend and are destined to reinvent fine jewelry. Designed to complement your skin palette and unique features, this line of essentials is Le Vian’s Color Trend of the year. In the year of multiple fairy tale royal weddings just everyone has royal family fever these days. Le Vian’s royalty-inspired designs will allow you to unleash your inner princess, combining style and grace with statement pieces reminiscent of tiaras. The next generation of royals is setting the tone for future engagements. From Lady Di to Sarah Ferguson to this stunning cushion center three-stone style as worn by Meghan Markle, Le Vian’s Royal Engagement collection contain the must-have engagement rings of the moment. Layering and stacking your bracelets is currently a hot must-have trend, but the next big thing is stacking your rings. These Open Rings from Le Vian will give you a multi-dimensional effect that is all about your own unique style. Celebrate your real best friend and memorialize their love with Le Vian’s unique collection of diamond and gem studded paw print fine jewelry.